Happy Saint Patrick’s Day! In honor of the holiday, I have compiled a list of 4 Irish authors for you to explore, if you are not already familiar with them. Maria Edgeworth (1768-1849)- Actually, she’s Anglo-Irish, born in Oxford, but her work is often categorized as Irish Literature. She lived in Ireland, loved Ireland, and set most of her stories there. I think you should know about her, so I’m putting her on the list. Her books were a challenge to hegemonic structures, and often troubled race, class, gender, and nation. So, of course I am interested in her work. She is most famous for: Castle Rackrent (commentary about Irish landlords), Belinda (had an interracial marriage between two servants, which was later removed by publishers), and Helen. William Butler Yeats (1865-1939)- “Turning and turning in the widening gyre/ The falcon cannot hear the falconer;/Things fall apart; the centre cannot hold;/ Mere anarchy is loosed upon the world,/ The blood-dimmed tide is loosed, and everywhere/The ceremony of innocence is drowned;/The best lack all conviction, while the worst/ Are full of passionate intensity.” Terrifying, but badass. Need I say more? James Joyce (1882-1941)- Maybe he’s the obvious one, (and he is actually Irish) but the author of Dubliners, Finnegan’s Wake, Portrait of a Young Man, and of course, Ulysses, has won the loyalty of many adoring fans. I know we should read Joyce because I know someone who has dedicated her life to studying and teaching him, and two friends whose romance was inspired by him. 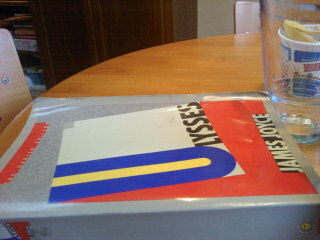 I am currently still trying to begin Ulysses, and my goal is to read it before I go to their wedding in June (there will be Joyce references everywhere). It has been on hold while reading other things, but because it is St. Patrick’s, I feel more inspired to start reading it again. So far, my issue has been one of intimacy-Joyce writes his characters in their most private moments, and as a reader, I feel like an intruder. I’ll have to get used to it, and will keep you posted on my progress. Seamus Heaney (1939-present)- You have likely heard of Heaney as well. This Irish poet has won pretty much every accolade that a writer can earn, including the Nobel Prize in Literature, the T.S. Eliot Prize, and the Golden Wreath of Poetry to name a few (yes, there are more). When you read his writing, it is easy to see why he has been so impactful in the contemporary scene. He confronts and copes with the political climate of Northern Ireland in both aggressive and heartfelt ways, and he does not stray from tough topics, but coaxes the reader to join him in surprise and misery. I would recommend reading the poem Mid Term Break for an example of how he does this (but be warned, it is intense). There are many more noteworthy Irish authors, but I wanted to highlight a few of the names that have stood out to me. If I did not mention your favorite Irish author, please let me know who it is in the comments! I also thought you might enjoy this article I read this morning, about the History, or Blarney, of Saint Patrick’s Day 😉 I am going to see a Sounders game tonight with some friends, probably to a pub afterwards, and may partake in singing Finnegan’s Wake if someone starts it up. Do you have any fun plans for today? This entry was posted in reading and tagged Castle Rackrent, Irish Literature, James Joyce, Maria Edgeworth, Mid-Term Break, Seamus Heaney, St. Patricks Day, Ulysses, William Butler Yeats. Well chosen all four; the second and third one as well. I don’t have anything to quibble with you on this except that perhaps people who don’t know Irish authors better should jump in and see why they always win awards. Here’s the thing about the Irish writers that you listed, especially the two favorites of mine. It’s not just the fact that they have each written amazing things, it’s the fact that a lot of what they write sweeps broadly across the whole of the human experience. Yeats is a great example, yes he wrote a chilling poem about the end of the world as we know it, one that left me trembling as I imagined “what rough beast, its hour come round at last,/ Slouches towards Bethlehem to be born”. But he also gave me away to to deal with anything difficult in his poem “The Lake Isle of Innisfree” which is just lovely. He wrote about what it was like to be a father imagining what the world would make of his son, and of his daughter, and more importantly, what they would make of it. Now Joyce, there’s an author who is not for the faint of heart. Yeats will walk you around a verse and make you face something I didn’t know was in you to face, but Joyce will wall you though it and make you understand it in a way you will never be comfortable telling you friends or loved ones about (if you’ve read Ulysses and remember the character Bella aka Bello you know what I’m talking about.) The thing is that he also gave a full brush stroke of the world, the ability he has to make you pity and loath a character for the same reasons that you want to see them do well is amazing. To watch a man see the person he loves for the first time and know that he has spent so long not seeing the spark of true beauty that was always within his reach. To watch someone’s dreams smashed to bits because they were dreams that simply cannot exist anyplace but in a person’s heart, and knowing that it was always going to be that way, but still knowing that the character you’re reading might become something more wondrous than any dream smashed in the streets of Dublin.This is what Joyce is awesome for, to watch the beauty and the abject of humanity take shape and play out in ways that are lovely and powerful and amazing. Allen, I always love your in-depth comments. Sorry it has taken me a few days to respond. You are absolutely eloquent. And, I believe that I need to read The Dead now… thanks for sharing! Very interesting article about Irish Authors..today is St.Patrick’s Day..so be blessed my friends! Nice idea for St Patrick’s Day! I love Yeats- a gentle soul I think. Never heard of Maria Edgeworth. My local library has Helen. Is that a good one to start with? I’ve just requested Seamus Heany’s poems from the library- will give them a look, though they sound a bit full on! Seamus Heaney is definitely full on, but in a really interesting way. As for reading with and for Joyce, I would suggest you check out Allen’s comment about Dubliners’ “The Dead” from earlier- I agree with his recommendation. Thanks for sharing your story- sounds like you have a lot of great reading! I love Irish authors because their writing can be pretty lyrical. Other good ones are Niall Williams and Frank Delaney. I’ll have to rectify that in the near future.